Nancy Goldstein’s work has appeared in venues including the Guardian, NPR, Politico, Salon, Slate, The American Prospect and the Washington Post, where she was an Editor’s Pick and the winner of the blogging round during their Next Great Pundit Contest. You can follow her on Twitter at @nancygoldstein. But will it decide that the petitioners have standing? More than a million requests for cell phone records by law enforcement is just the beginning of the surveillance story. 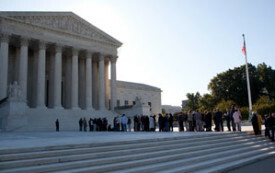 Proposition 8 Is Unconstitutional. What’s Next for the Anti-Gay Law? Anti-gay marriage proponents should think twice before asking the US Supreme Court to take this case. 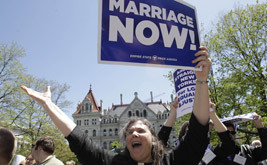 It took opportunistic politicians and ridiculous, shameful language on religious exemptions, but gay and lesbian New Yorkers can finally tie the knot. The Family, the secretive organization of evangelicals tied to extremist anti-gay legislation in Uganda, is refusing to pressure Ugandan lawmakers to drop the bill. For years one of the Koch brothers’ greatest achievements was the fact that no one knew who they were or what influence they had. The counter-demonstration next to their secret billionaires’ meeting in Palm Springs on Sunday proves all that has changed. 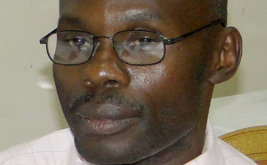 Gay Ugandan activist David Kato was beaten to death earlier this week. Now it’s Brenda Namigadde, a Ugandan lesbian whose immigration status in Britain is unresolved, with a bull's-eye on her back. Glenn Beck must have thought he had an easy mark when he targeted Frances Fox Piven. But Glenn Beck is wrong.